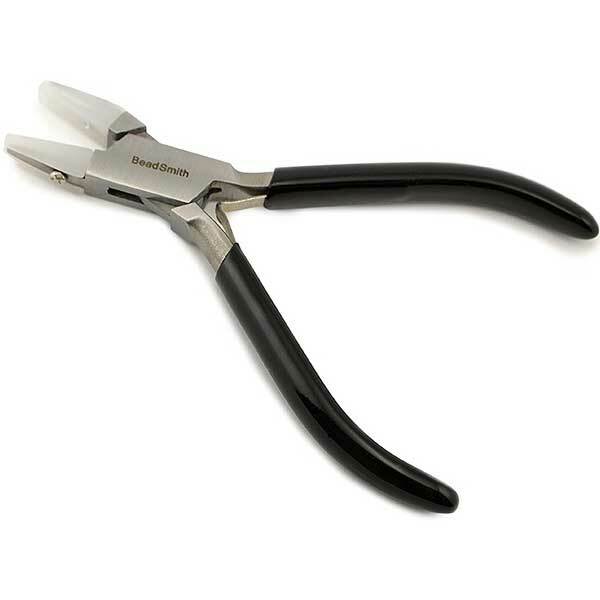 This plier is ideal for working with craft wire. Nylon jaws form neat bends without scratching or marring the wire. Also great for many other jewelry making uses. Smaller size gives you maximum control, and the plier fits perfectly in the palm of your hand. Sturdy box joint construction. Double leaf spring return. 4.5 inches long overall.